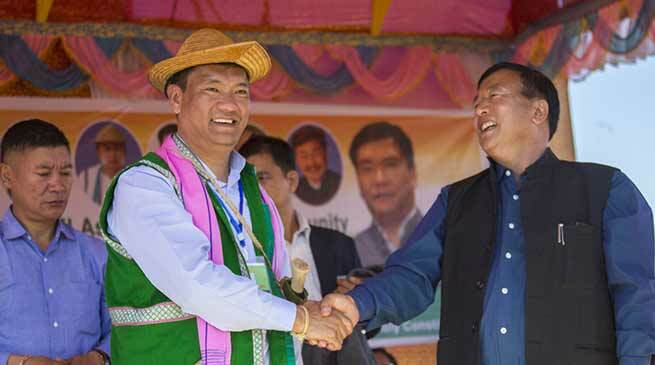 The revenue generation of Arunachal Pradesh has seen a huge jump of Rs 227 crore within one financial year, Said Arunachal Pradesh Chief Minister Pema Khandu on Monday, While he was addressing a public meeting at Basar. Highlighting on the achievements of the present government, He said in the financial year 2015-16, the state revenue was Rs 887 crores. But after he took over as Chief Minister in 2016, the revenue has increased to Rs 1114 crore in the current financial year 2016-17. Khandu expressed hope that with GST, the revenue of the state is likely to increase further in the future with increase in tax base. He, however said that revenue may not hit high immediately as confusions over GST implementation still persists. He therefore appealed the traders to immediately register themselves with GST in the interest of the state.